She was 5 feet tall. She was less than 100 lbs "soaking wet". She spent her childhood in Oregon and Idaho yet was proud of her family's Southern roots. She could hunt and fish and, if you deserved it, she could punch your lights out! 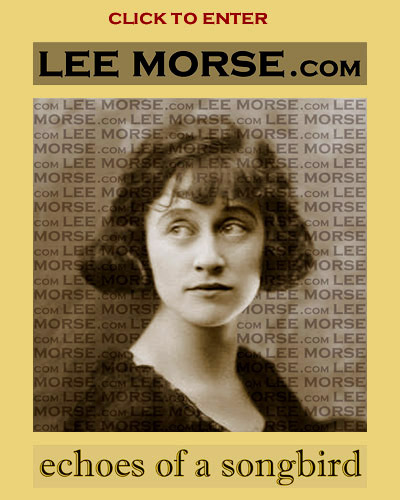 She was Lee Morse, one of the most popular female recording artists during the Jazz Age 20's and 30's. And, she is worth remembering. 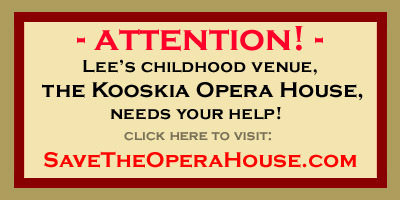 Welcome to LeeMorse.com, a website that is dedicated to the life and career of this unique and irreplaceable talent. the anniversary of Lee's 106th Birthday!